Water Is Life, DDB, researchers create a water purification system that also educates. 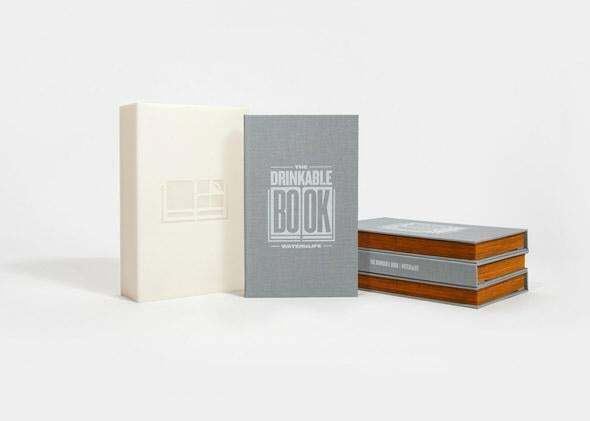 This “Drinkable Book” Filters Water for Four Years. Wait, What? 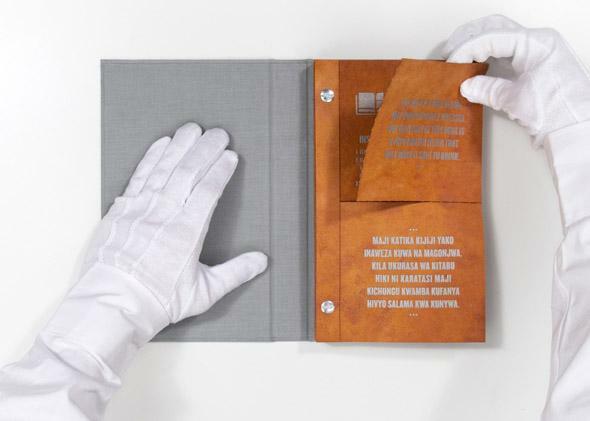 The pages are coated with silver nanoparticles that purify water as it trickles through. Photo courtesy of Brian Gartside. If you think books are old tech, you may be dismissing them too soon. The latest application for the folio design is a collection of water filters that are long-lasting and also provide information about consuming unsafe water. The humanitarian group WaterisLife and the ad agency DDB have teamed up to bring these books to developing countries with unreliable water sources. Millions of people around the world don’t have access to clean water for basic needs like drinking, cooking, and bathing. And 3.4 million people die every year from waterborne diseases. WaterisLife points out that though options are limited in these settings, many people who ingest unsafe water don’t even know that it could hurt them. So the goal of the “Drinkable Book” is to provide cheap and effective water filters while also educating people about how dangerous contaminated water can be. Pulling a filter out of the book. When Gartside used the book himself, he says he was impressed with its effectiveness and ease of use. “I was skeptical at first that water would even be able to make it through the paper (the stock is very thick), but it filters at a rate that I’d estimate to be comparable to the filter jug I have sitting in my fridge,” he says.